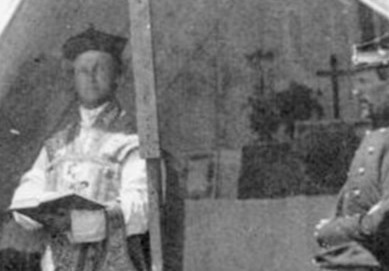 The above description and accompanying photo is from Crossings and Dwellings. 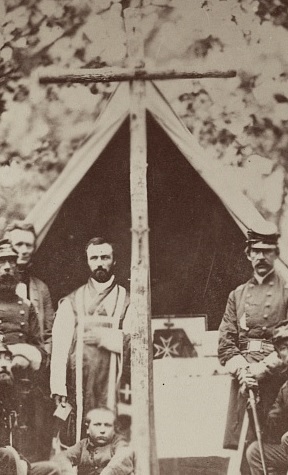 Portion of famous Matthew Brady photograph of Chaplain Mooney conducting mass for the 69th New York State Militia encamped at Fort Corcoran, before the First Battle of Bull Run 21 July 1861. 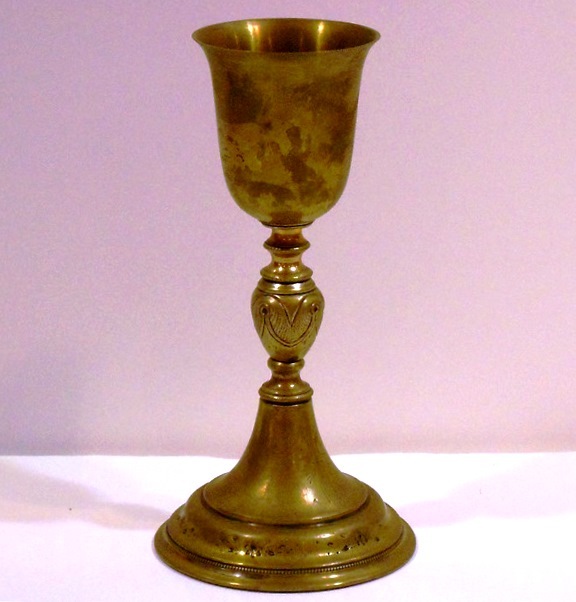 Civil War era Jewish Kiddish Cup, dated 1862, likely similar to what was used by Jewish Chaplains during the Civil War. 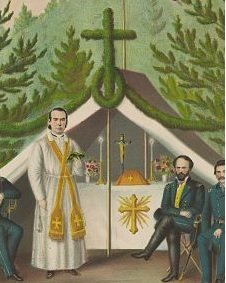 On display at the National Civil War Chaplains Museum. 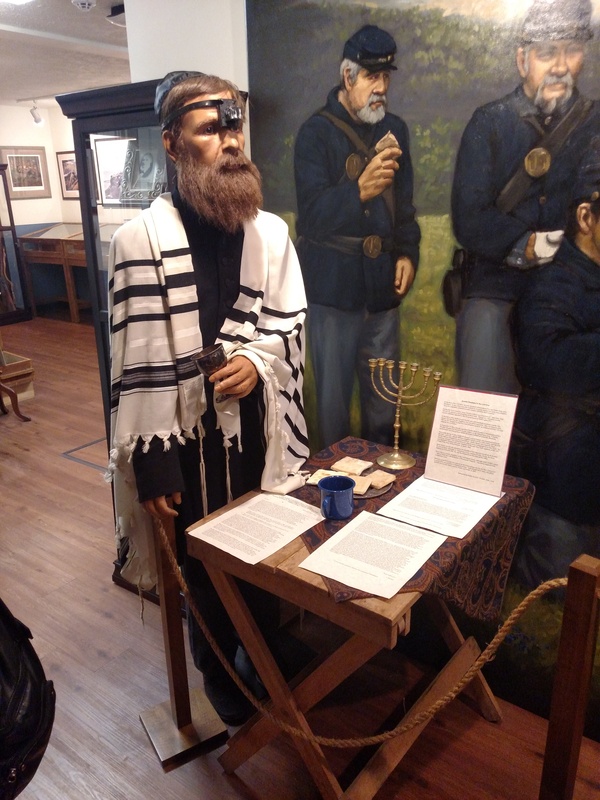 A likely set-up for Jewish worship during the Civil War, on display at the National Civil War Chaplains Museum. 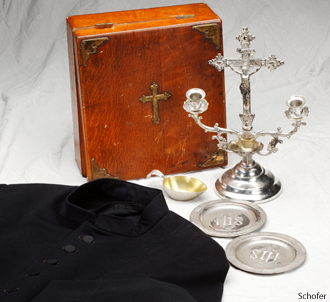 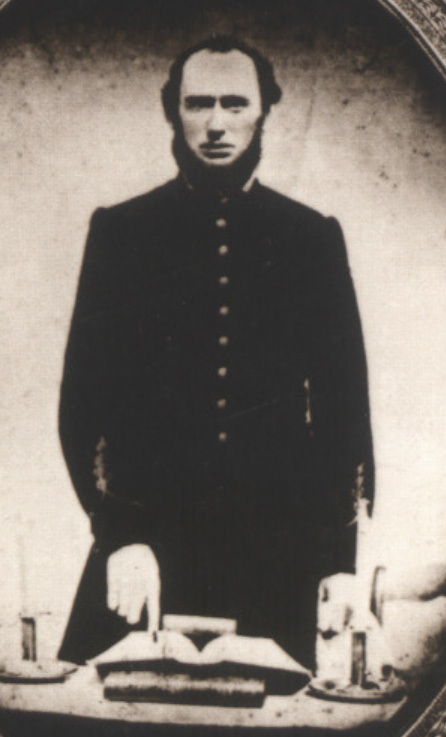 According to a Liberty University website, (Refering to the picture at right) “These communion dishes and chaplain’s robe are a few of the artifacts housed in the National Civil War Chaplains Museum on the Liberty University campus.” Pictured is the Homan Sick-Call Outift. 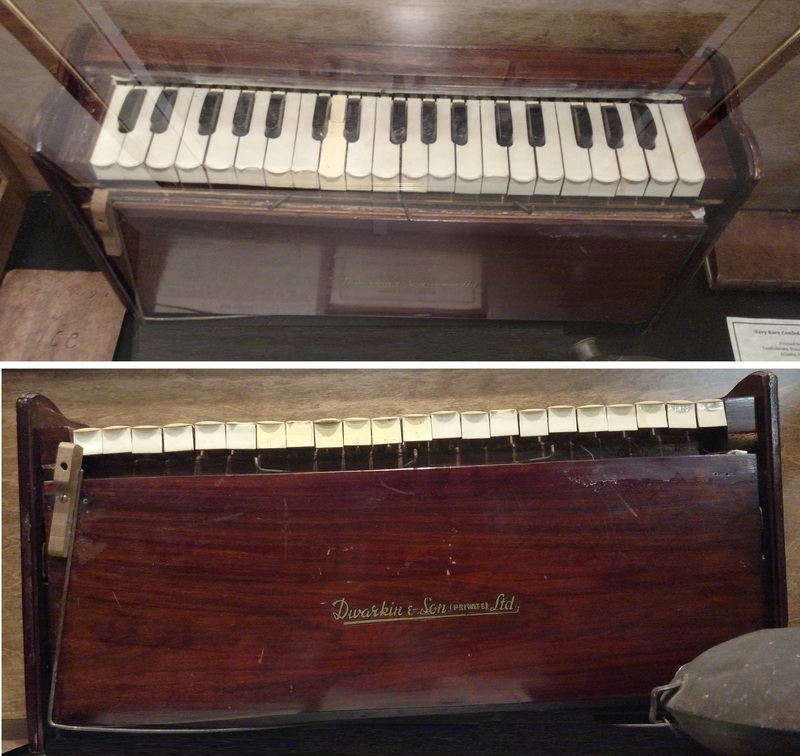 The set that I have (identical to the one pictured at right) is marked as being patented in 1897, so couldn’t have been used during the Civil War. 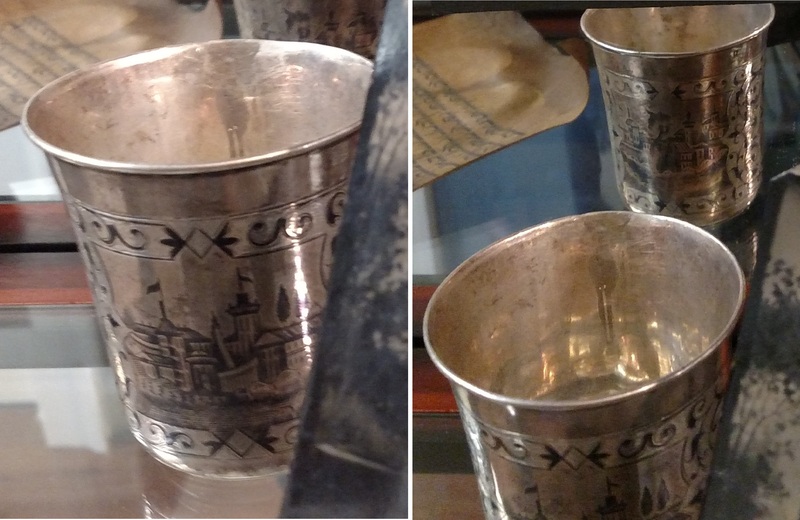 It’s possible, however, that similar sets could have been.